It seems like people are spontaneously finding classic Mercedes 300 SL models. 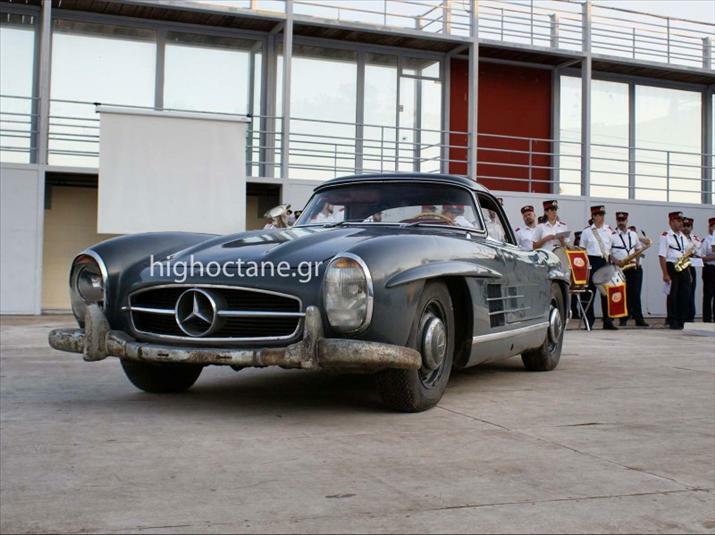 Following the appearance of the 1955 Mercedes 300 SL Lightweight special edition in a garage in Santa Monica, CA, another has appeared in Piraeus, Greece. However, this one's ever rarer than others; the 1960 300 SL in question is a hard-top as most sold around the world were soft-tops. The car was a possension of Greek racing car fan, Criton Dilaveris, who bought it second hand. Mr. Dilasveris passed away in 1972 but had no heir, so all his assets belong to the city. So the city decided to auction it off with a starting price of €240,000 (£209,500/$332,670). The highest bidder was German collector, Rajna Hildebrandt, who owns a 300 SL Gullwing and a soft-top Roadster. Amid furious bidding, he paid €405,000 (£353,500/$561,303) for the car. The vehicle has 60,380 miles (97,172km) on the clock.